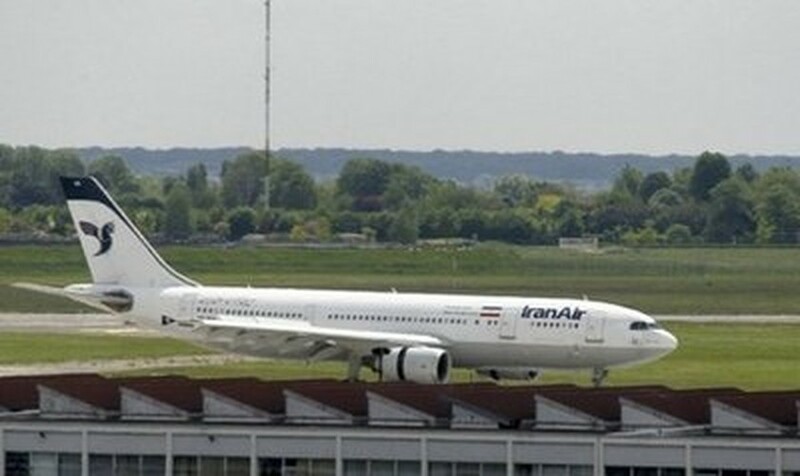 Airports in Britain, Germany and the United Arab Emirates have refused to refuel Iranian passenger planes since Washington imposed unilateral sanctions on Tehran last week, ISNA news agency said Monday. IRNA, the official state news agency, said in a separate report that Kuwaiti airports have also turned down fuel for Iranian passenger planes. "Since last week, after the passing of the unilateral law by America and the sanctions against Iran, airports in England, Germany, the UAE have refused to give fuel to Iranian planes," ISNA quoted Mehdi Aliyari, secretary of Iranian Airlines Union, as saying. The decision by the airports in these countries comes at a time when a large number of expatriate Iranians, especially those in Europe, travel to and from Iran for summer holidays. Aliyari said their refusal has so far impacted Iran Air, the national carrier, and a leading private airline, Mahan Air, as both operate several flights to Europe. Pervez Sorouri, a lawmaker and member of Iranian parliament's committee on foreign policy and national security, warned of a retaliatory action by Tehran, especially towards the United Arab Emirates. He said Iran was an important trade partner of the UAE which is emerging from a financial crisis and "this (UAE's refusal) can have some reaction from Iran," ISNA reported. Last Thursday, US President Barack Obama signed into law the toughest ever US sanctions on Iran, which he said would strike at Tehran's capacity to finance its nuclear programme and deepen its isolation. The measures, on top of new United Nations and European sanctions, aim to choke off Iran's access to imports of refined petroleum products like gasoline and jet fuel, and to curb its access to the international banking system. "With these sanctions -- along with others -- we are striking at the heart of the Iranian government's ability to fund and develop its nuclear programmes," Obama said before signing the sanctions into law. "There should be no doubt: the United States and the international community are determined to prevent Iran from acquiring nuclear weapons." World powers led by Washington suspect Tehran is making nuclear weapons under the guise of a civilian atomic programme. Iran says its nuclear programme is purely for peaceful purposes. On June 9, the UN Security Council imposed a fourth set of sanctions against Iran, which was followed by unilateral punitive measures by the European Union and later by the United States. Iran could lodge a complaint to the United Nations and the International Civil Aviation Organisation over the action of these airports, lawmaker Kazem Jalali was quoted as saying by the English-language Iran News. "A special committee has been set up in the Iranian majlis (parliament) to study the US sanctions on jet fuel," Jalali said. "The US president has done his best to isolate the Islamic republic of Iran but to no avail." On Monday, President Mahmoud Ahmadinejad once again dismissed the sanctions imposed on Iran. "The sanctions that they have imposed do not strike a blow at Iran ... They have imposed these sanctions to defend themselves and they know they cannot do anything," the hardliner said in the northwestern city of Bonab. All the four set of UN sanctions have been imposed on Iran under the presidency of Ahmadinejad who has defiantly pursued Tehran's nuclear programme.